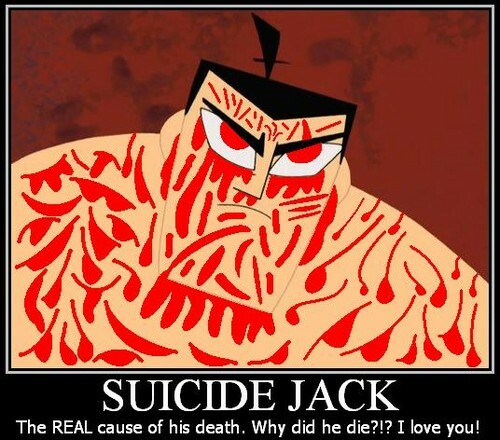 suicide jack. I can explain! In the future, this was the REAL cause of his death! This was his identical twin brother!. Wallpaper and background images in the Samurai Jack club tagged: suicide jack samurai jack. This Samurai Jack fan art might contain tanda, poster, teks, papan hitam, chalkboard, anime, komik, manga, kartun, and buku komik.